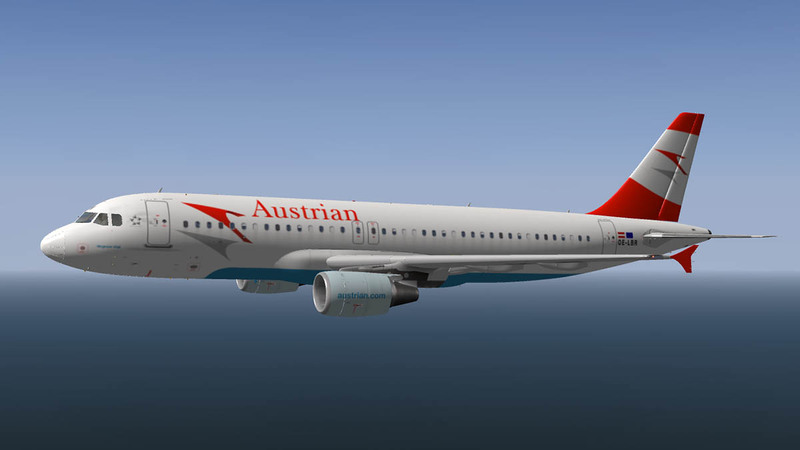 Peter Hager has released his A320 versions of the very popular Airbus A320 Series with the 3d VC (Virtual Cockpit). There are two package available. A single aircraft version of the A320-214 with the CFM 56-5B2 engines or the A320-232 with the IAE V2500 engines. 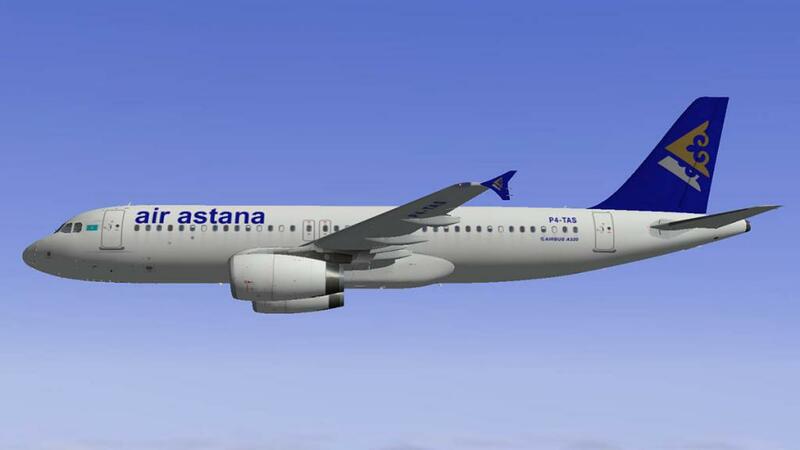 Or a dual package version of the A320-214 and the A320-232 together. 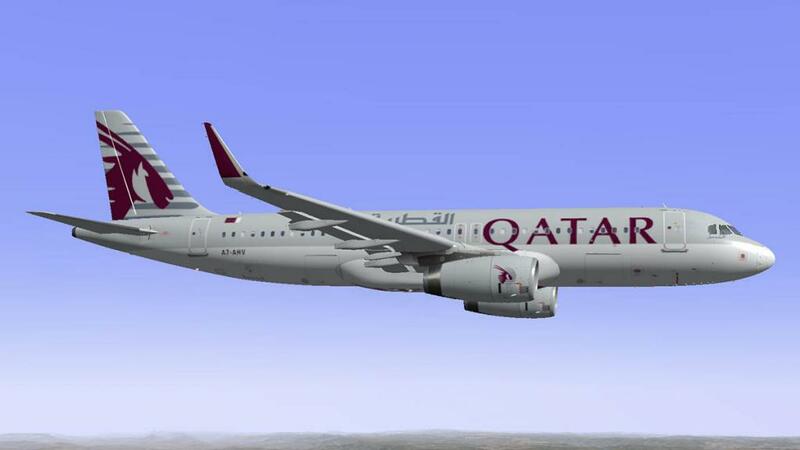 Also with each engined version there comes another version choice of either the aircraft having Winglets or the latest fashion of the tall Sharklet design. 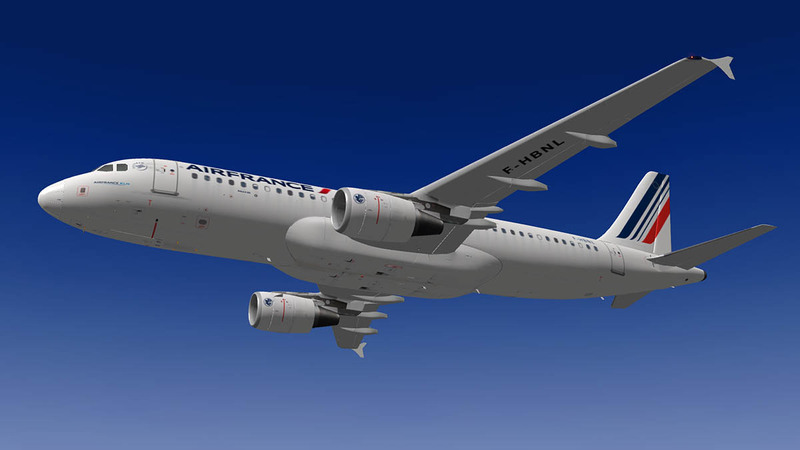 So with the full dual package you will have four distinct versions of the A320 aircraft (eight if you count in X-Plane9 versions). 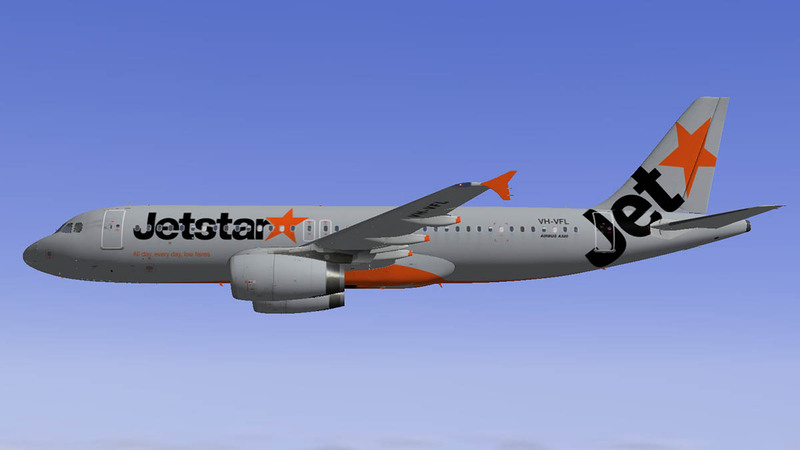 Peters Aircraft A320 has been released for a while now, but like its larger brother the A321 that had its VC cockpit included in February 2014. 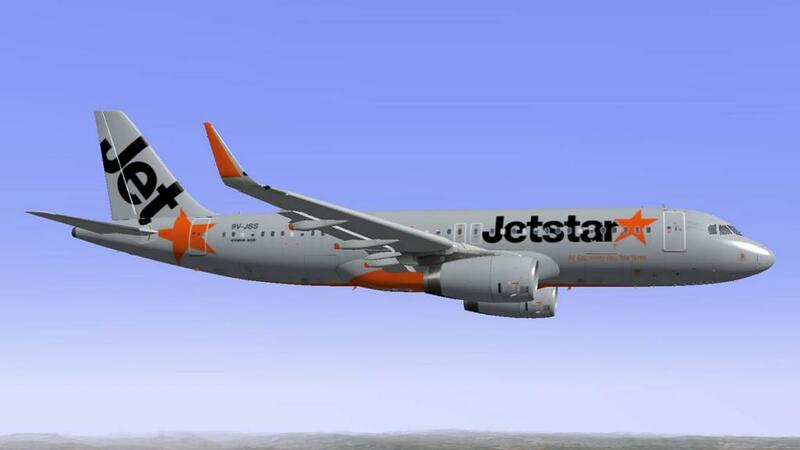 Here now is the A320 VC version. 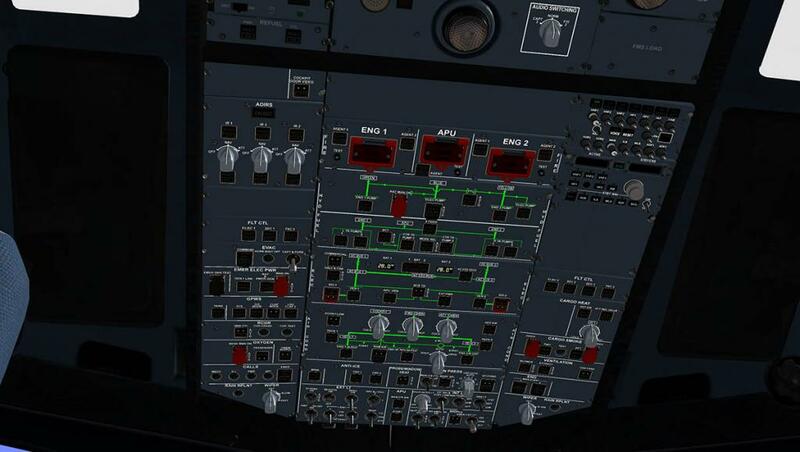 The VC is fully functional except for in one area, and that is the MCDU (Mulifunction Control Display Unit). For that you have to use the standard 2d cockpit. In the 2d aspect the MCDU is a pop-up panel so you can access the display unit. It is fully functional, but still a hybrid. 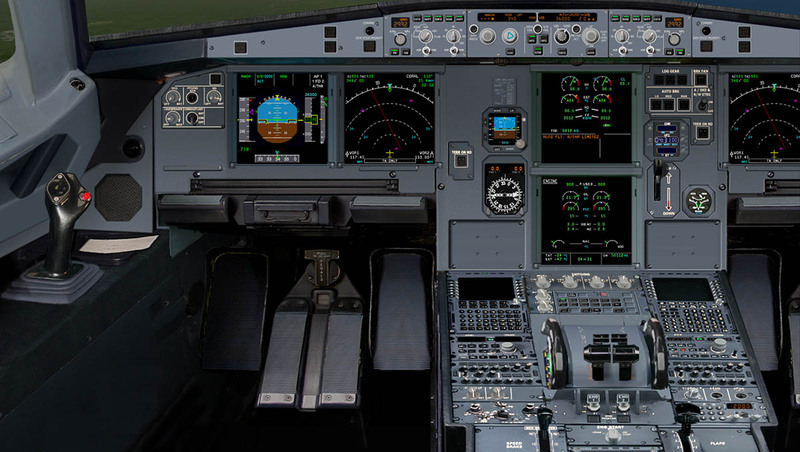 There is not the standard FMC of the Thales FMGS - (Flight Management and Guidance Computer) that is situated on the A320 aircraft, but the standard X-Plane FMS system which has been very well integrated into the system. 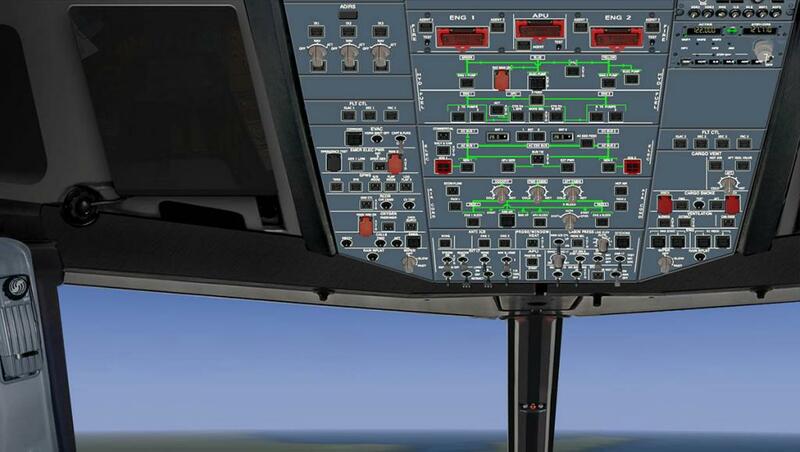 So you can use your standard .fms routes, but you can also still set the aircraft's - Pref's - Vref's - Cost Index - Flight No. 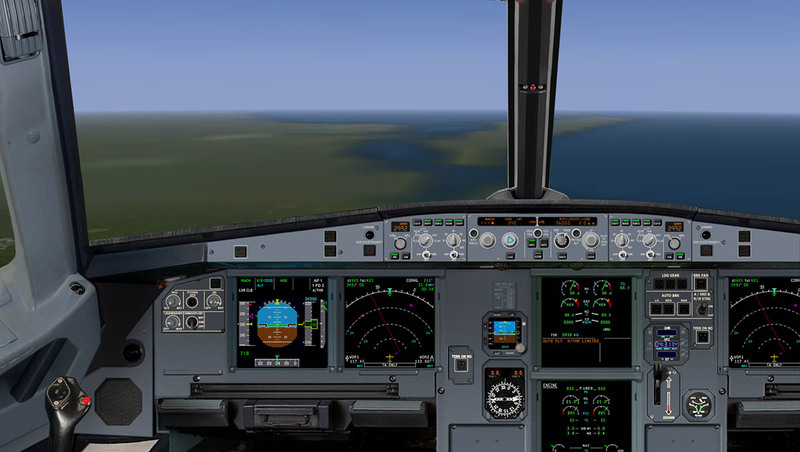 - Flight Level/Temp - and settings for Departure - Cruise and Approach phases. One item i really liked was the "Direct To". 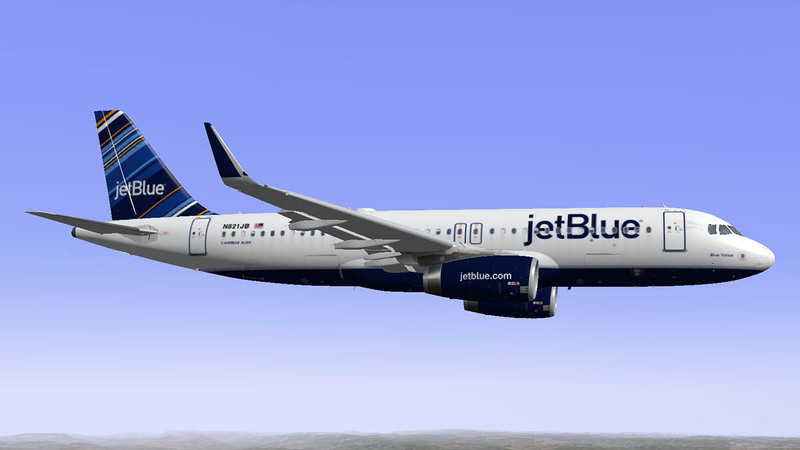 Which is really good for resetting your route or joining a route halfway through the flight plan. 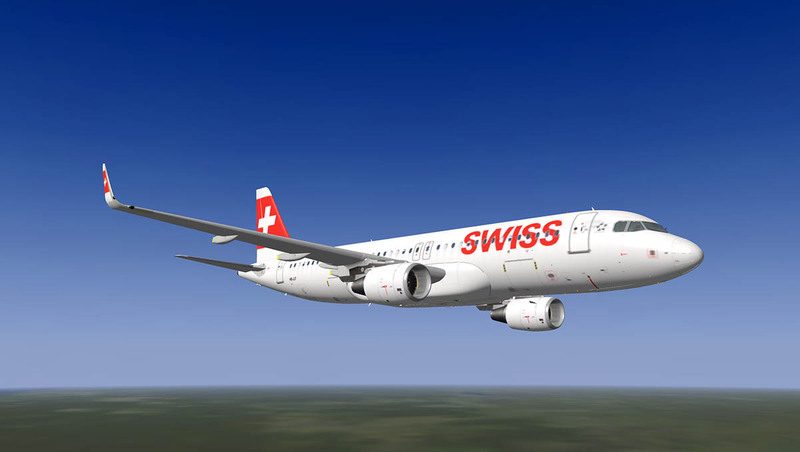 Peter Hager's aircraft are renowned for there excellent flying characteristics, and here you have the full FBW (Fly-By-Wire) system that precisely simulates the normal mode (laws), including all protections. The Airbus autoflight system is also very well simulated, which includes FCU (Flight Control Unit), FMA (flight mode annunciator ) and A/THR (Auto/Thrust). 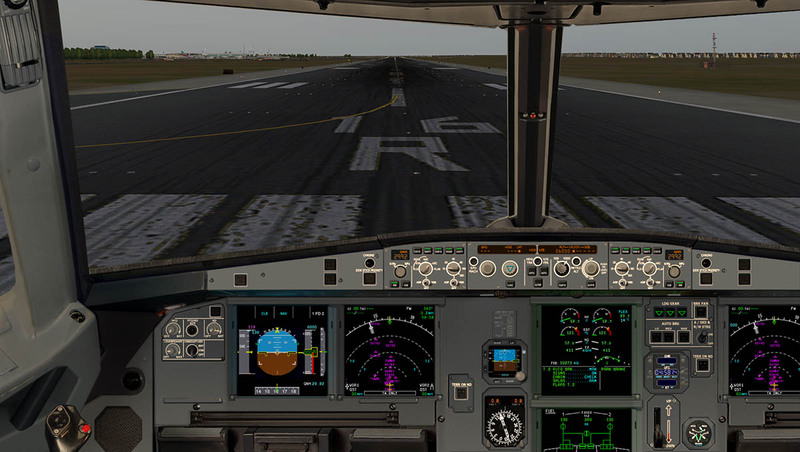 I did find the "Speed" hard to set (or find) in when bringing back the throttle after takeoff to the A/THR detent position. 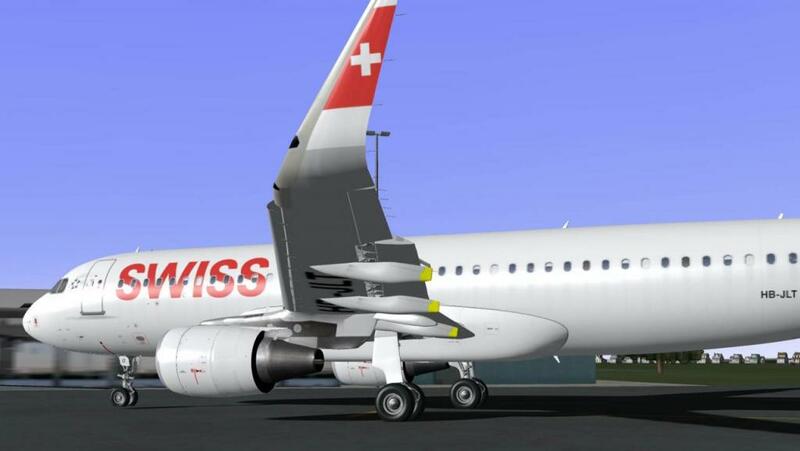 But once activated the A/THR took control and the speed matched the required climb and flap position perfectly. 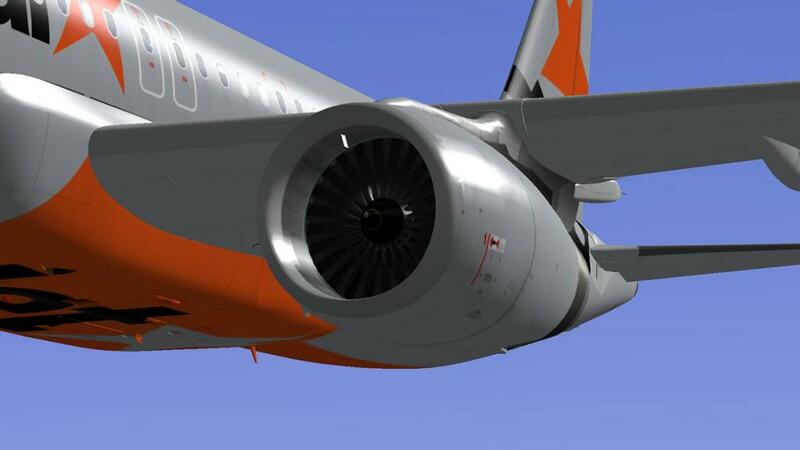 The CL (Max Climb Thrust) position was exceptional for getting the aircraft from the transition altitude (here 6000ft) and to the required flight level. 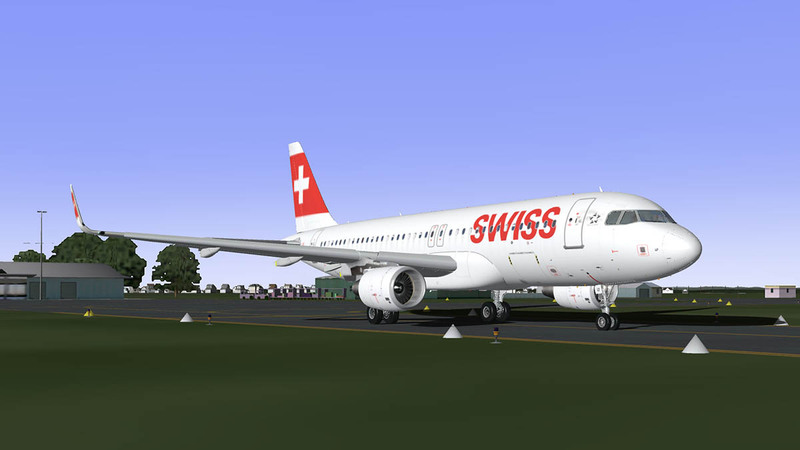 You use the FLX MCT (Max Continuous thrust - FLX) for the initial takeoff phase. The 3d VC cockpit is very good. It is very similar to the VC cockpit in Peters A380 series. 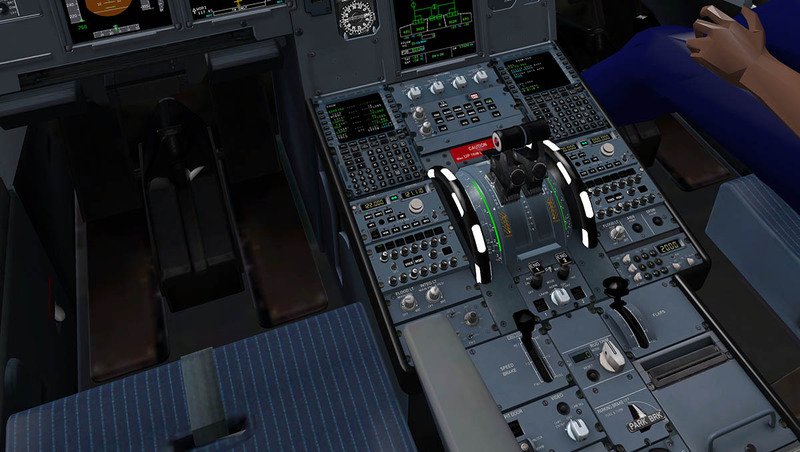 But you find yourself finding when switching back and too (and very often to use the FMC) in that the two cockpits are quite different in shape. The 3d is fine in shape, but the 2d is squashed together (to fit I suppose) and it comes out all very tall in your perspective. I didn't quite like it, as it feels odd - but then Peter's panels have always been like this one. On their own they work fine, but not when with the 3d version and then having to work with both the 2d and the 3d cockpits together. 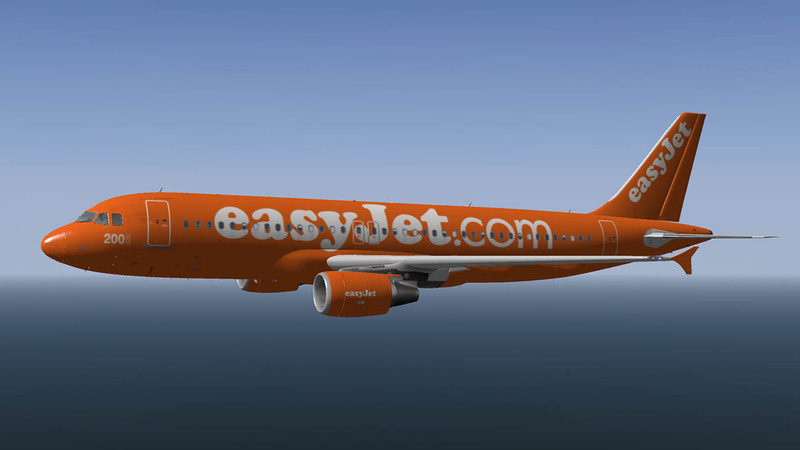 Download is via both versions of both the CFM (504.90mb) and the IAE (399.10mb) packages. 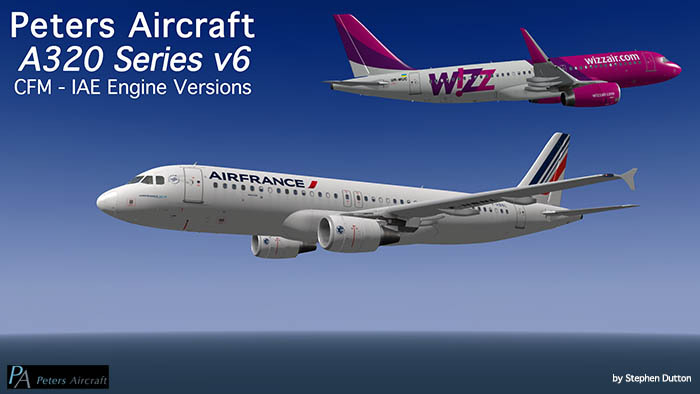 when you open either package you will see both the separate versions and the extra component folders to change the aircraft to Xplane9 compatible aircraft. 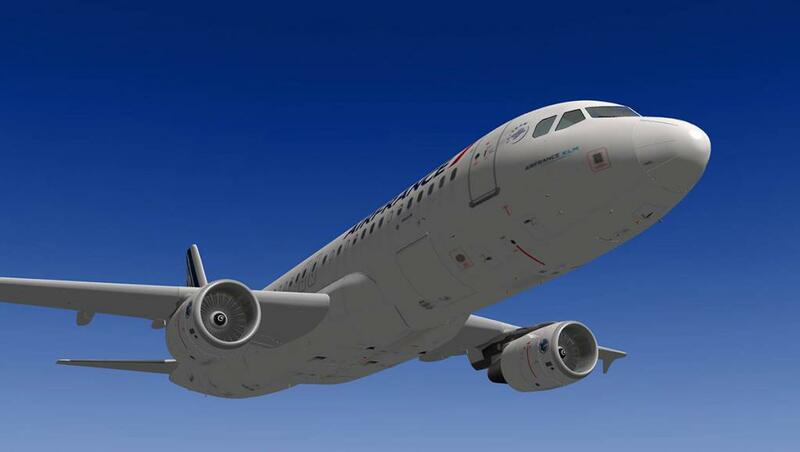 To install just move the main aircraft files to your X-Plane10 Aircraft Folder and use the activation key to activate the file (I recommend a full X-Plane restart when completed). For Xplane9 you have to replace certain components (so I would again recommend to duplicate the main file and keep it safe in case you need it in the future for X-Plane 10). 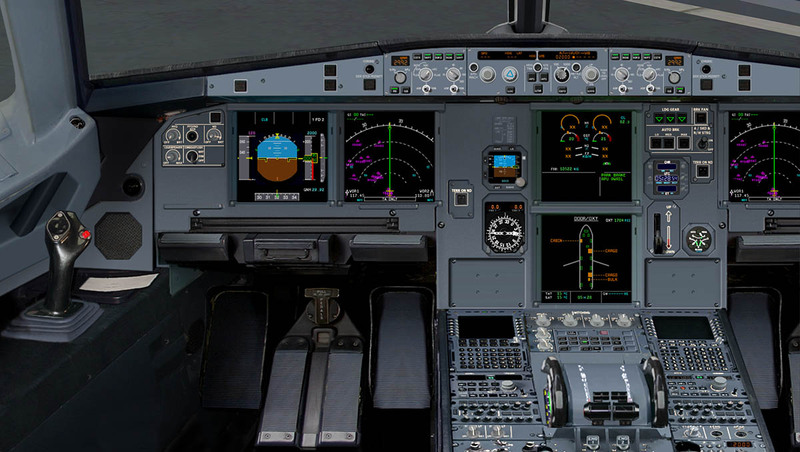 Peter Hager provides full details on how to replace the Xplane 9 components. No doubt the most popular engine choice for the A320 Airbus. The CFM56 family of high-bypass turbofan aircraft engines are made by CFM International (CFMI). And have a thrust range of 18,000 to 34,000 pounds-force (80 to 150 kilonewtons). 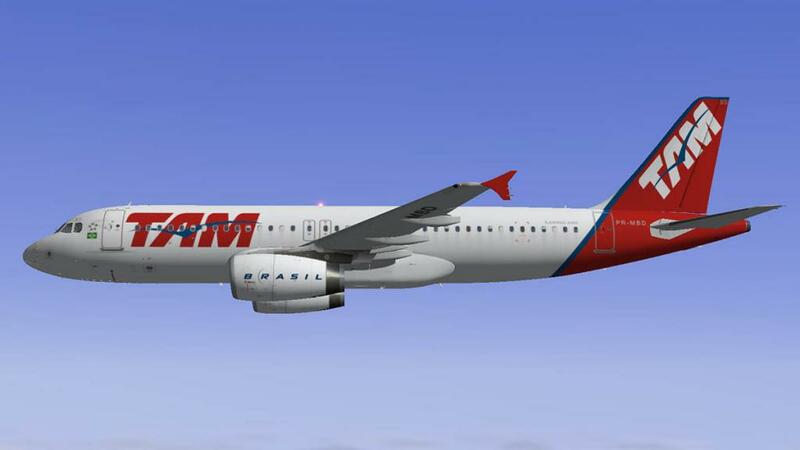 CFMI is a 50–50 joint-owned company of SNECMA - France and GE Aviation (GE), USA. Both companies are responsible for producing components and each has its own final assembly line. 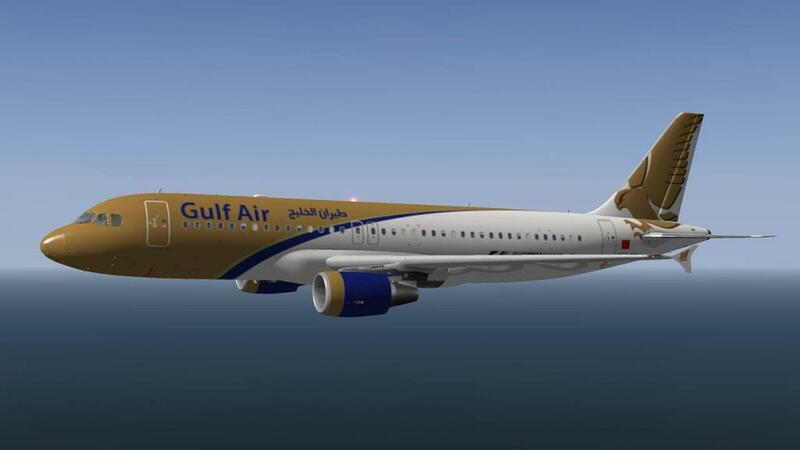 GE produces the high-pressure compressor, combustor, and high-pressure turbine, and SNECMA manufactures the fan, gearbox, exhaust and the low-pressure turbine, while some components are made by Avio of Italy. The engines are assembled by GE in Evendale, Ohio, and by SNECMA in Villaroche, France, and is now one of the most common turbofan aircraft engines in the world, with more than 20,000 having been built. The engine flew for the first time in February 1977 when it replaced one of the four Pratt & Whitney JT8D engines on the McDonnell Douglas YC-15, an entrant in the Air Force's Advanced Medium STOL Transport (AMST) competition.,Soon after, the second CFM56 was mounted on a Sud Aviation Caravelle at the SNECMA flight test center in France. This engine had a slightly different configuration with a long bypass duct and mixed exhaust flow, rather than a short bypass duct with unmixed exhaust flow. 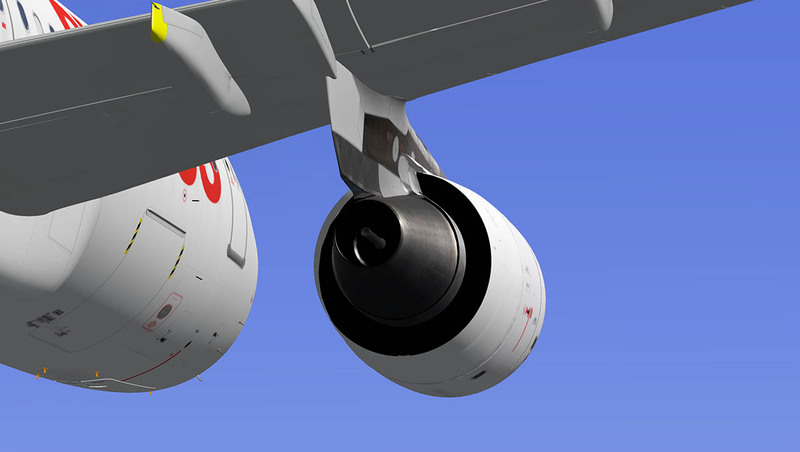 It was the first engine to include a "Thrust Management System" to maintain engine trim. An improvement of the CFM56-5A series, The 56-5B2 was originally designed to power the A321. 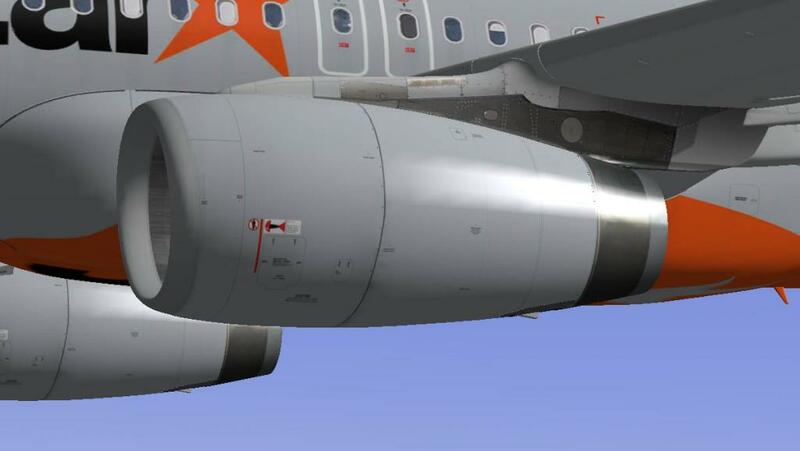 With a thrust range between 22,000 and 33,000 lbf (98 kN and 147 kN) it can power every model in the A320 family (A318/A319/A320/A321) and has superseded the CFM56-5A series. 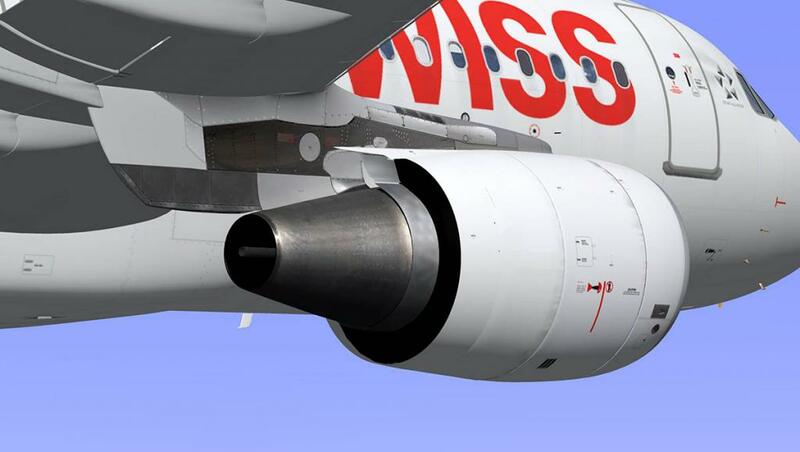 Among the changes from the CFM56-5A is the option of a double-annular combustor that reduces emissions (particularly NOx), a new fan in a longer fan case, and a new low-pressure compressor with a fourth stage (up from three in earlier variants). 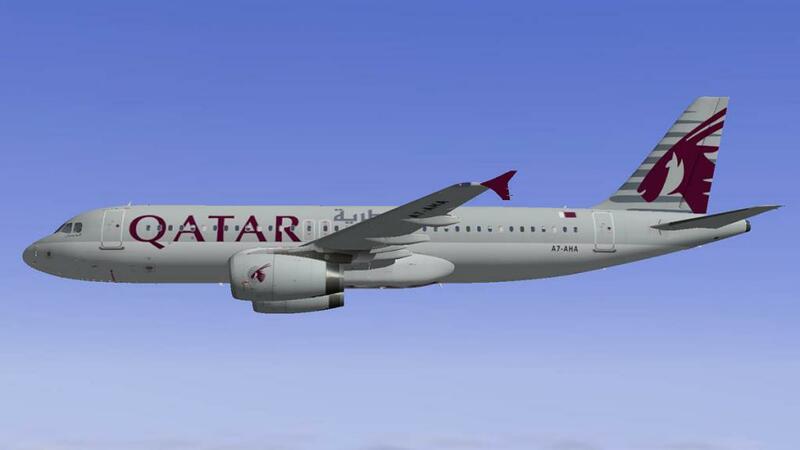 It is the most numerous engine supplied to Airbus. 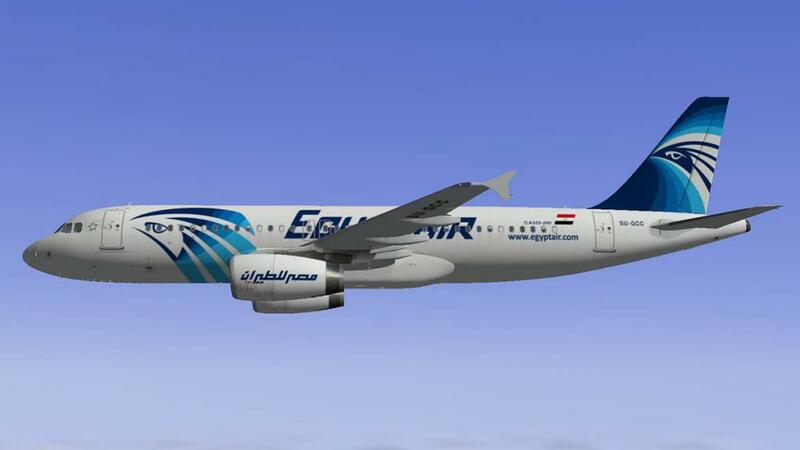 Performance : CFM56-5B2 (Thrust) 31,000 lbf (140 kN) (Bypass Ratio) 5.5 (Pressure Ratio) 35.4 (Dry Weight) 5,250 lbs (2,380 kg). 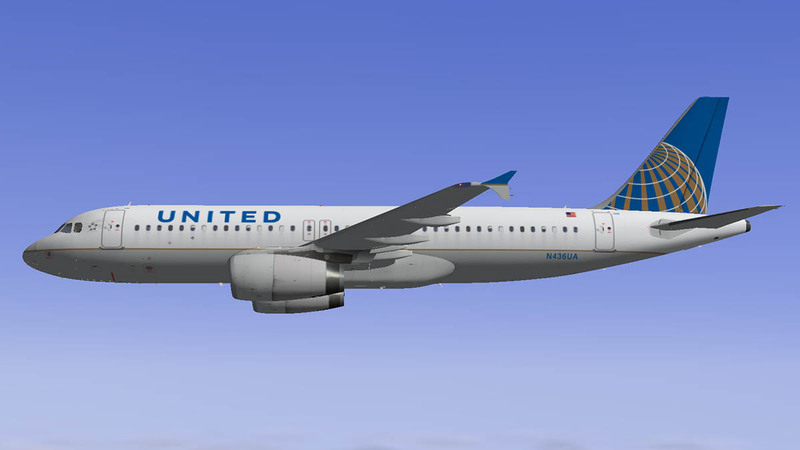 The standard winglet version of the CFM Airbus version has the highest usage amongst airlines at this point in time. And the design and completion of the Peters Aircraft A320 CFM version is excellent. 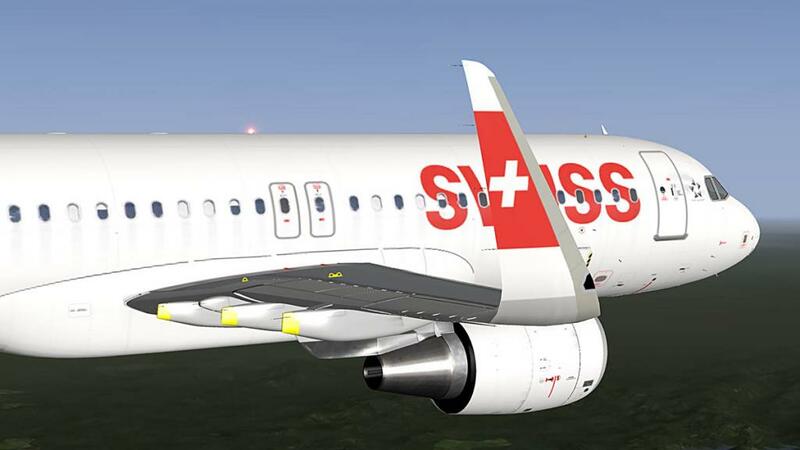 The A320 is very highly detailed and has a very high quality to the aircraft. 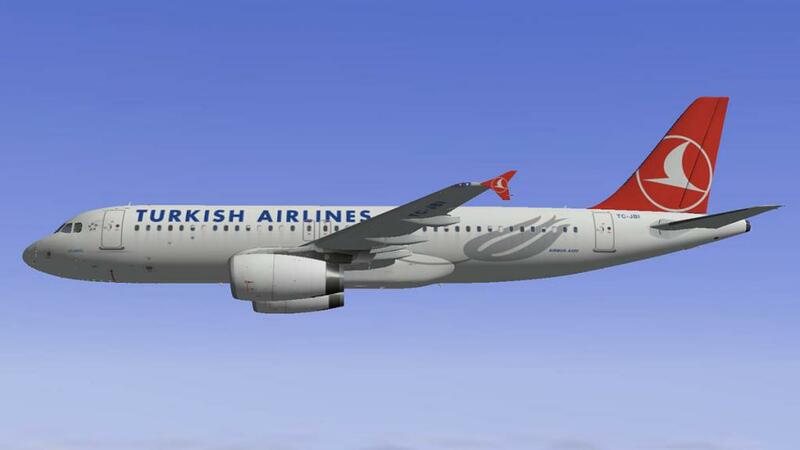 Engine performance is very close to the specifications of the CFM engine in service. 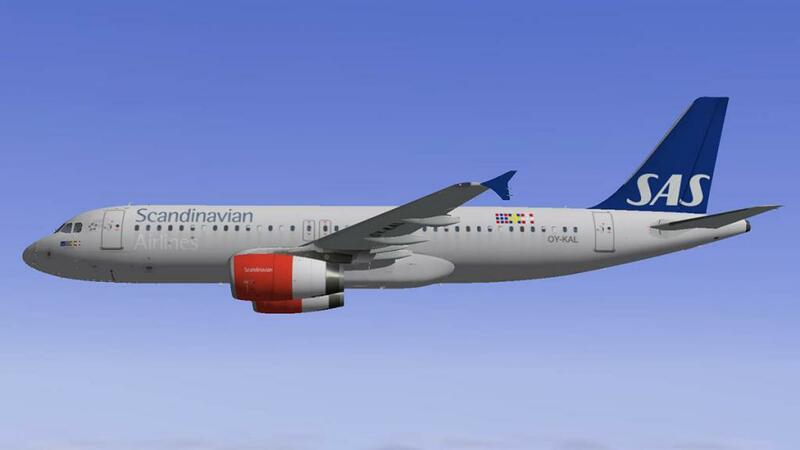 The Sharklet versions are either retro-fitted to the current aircraft (with some structural reinforcement work on the wing to compensate for the slightly extra weight) or are now coming out of the Airbus factory with the sharklets already completed on a standard A320 wing (The Neo version is coming with the Sharklet wing as standard). 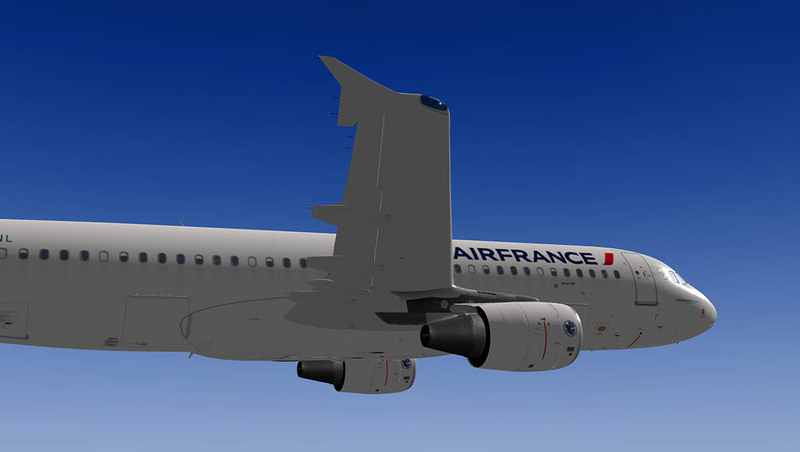 My own images show how very nice the Sharklets are when fitted on the real A320. Now coming into service with the JQ fleet (note JQ use the IAE Engines). 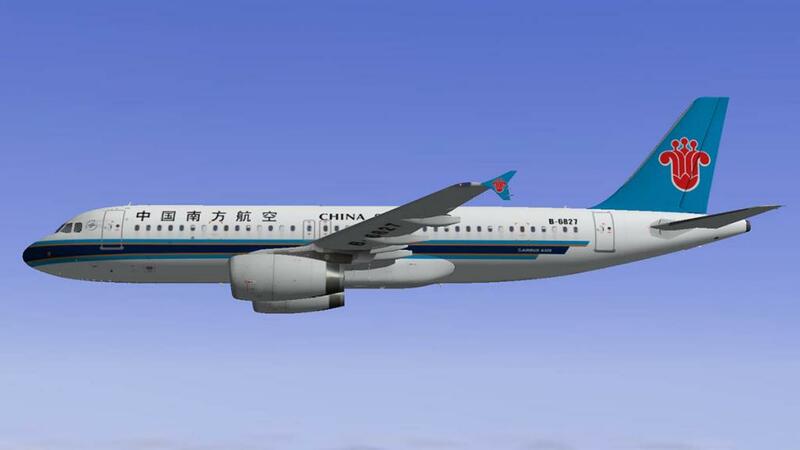 As there is fewer operators using the Sharklet version. Their are also fewer liveries (four) to use on this CFM version. 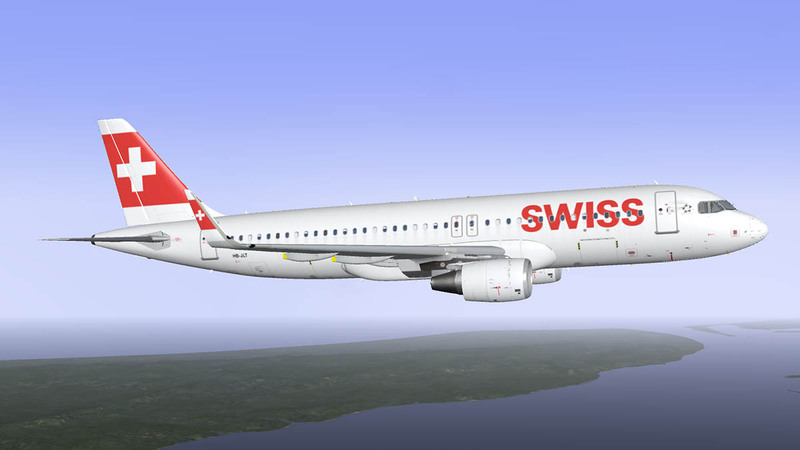 IAE International Aero Engines AG is a Zürich-registered joint venture manufacturing company founded in 1983 to develop an engine to address the 150-seat single aisle market. The collaboration was between four (five early on) of the world’s leading aero engine manufacturers. 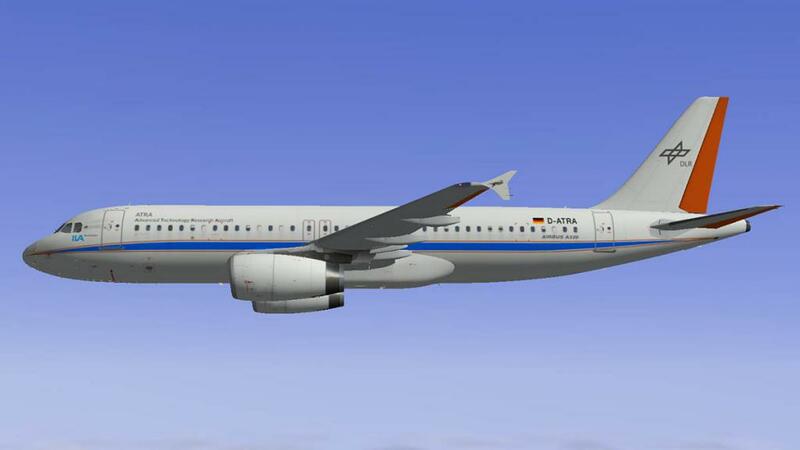 With Pratt & Whitney of the United States, Rolls-Royce plc of the United Kingdom, Japanese Aero Engine Corporation of Japan and MTU Aero Engines of Germany. FiatAvio withdrew as a shareholder of the program early on, but the now-renamed Avio S.p.A. still remains as a supplier to IAE. The "V" product nomenclature remains as a legacy of the five original shareholders. Rolls-Royce plc based the HP compressor of the V2500 on a scale-up of the RC34B eight stage research unit used in the RB401-06 Demonstrator Engine, but with a zero-stage added at the front and a tenth stage added to the rear. Pratt & Whitney developed the combustor and the 2-stage air-cooled HP turbine, while the Japanese companies provided the LP compression system. MTU were responsible for the 5-stage LP turbine. 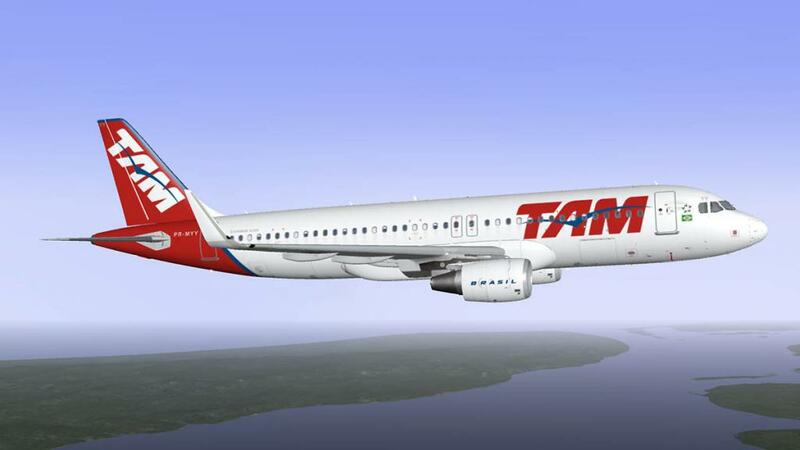 FAA flight certification for the V2500 was granted in 1988 and the 4,000th V2500 engine was delivered to the Brazilian flag carrier TAM and installed on the 4,000th Airbus A320 family aircraft produced. 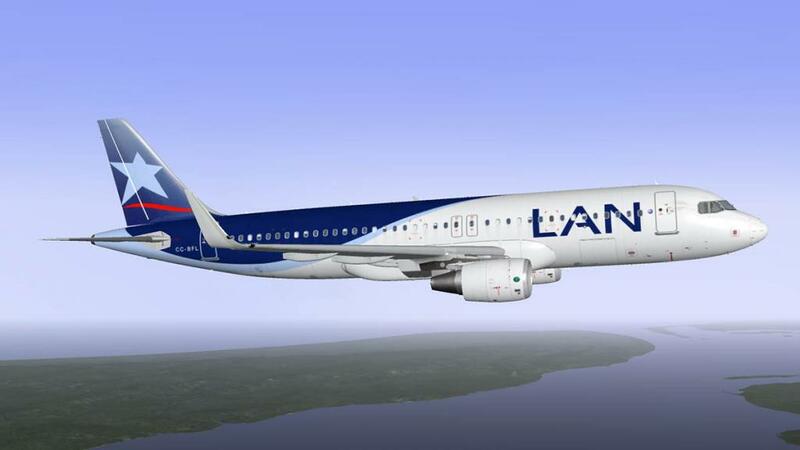 Performance : V2524-A5 (Thrust) 24,000 lbf (106.75 kN) (Bypass Ratio) 4.9 :1 (Pressure Ratio) 32.8 : 1 (Dry Weight) 5,200 lbs (2,359 kg). Peters Aircraft version of the IAE - V2500 is highly developed and very well designed, performance of the aircraft is very closely matched to the specifications of the engine in service. 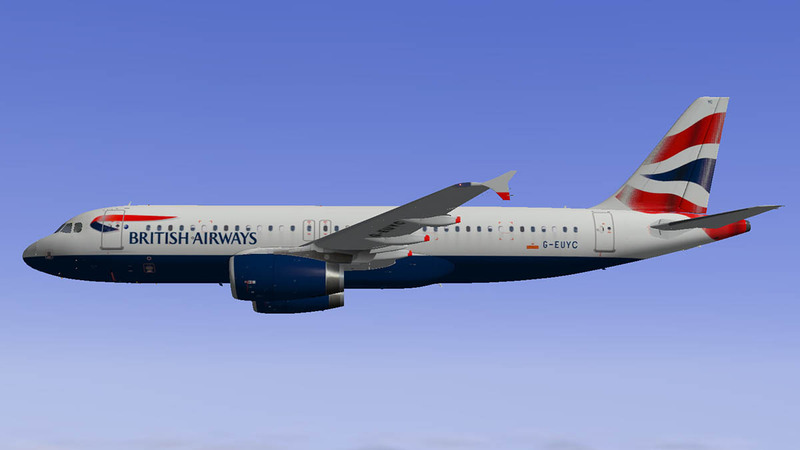 The Sharklets look extremely good on the IAE version. 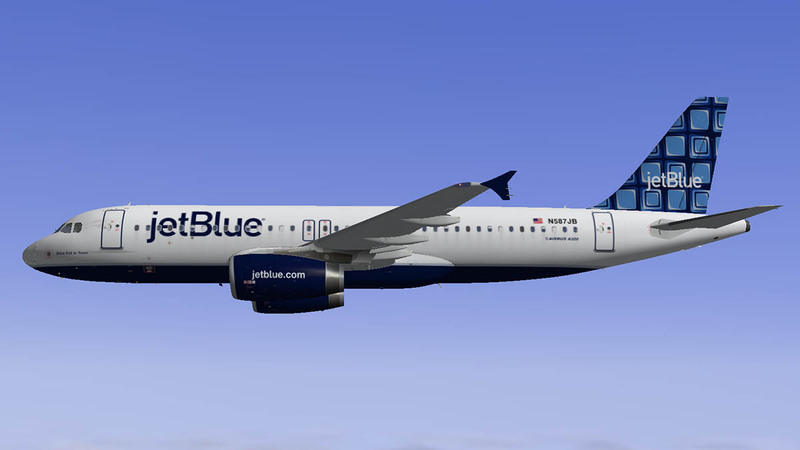 maybe it is the fuller more larger engine cowlings that make the difference. 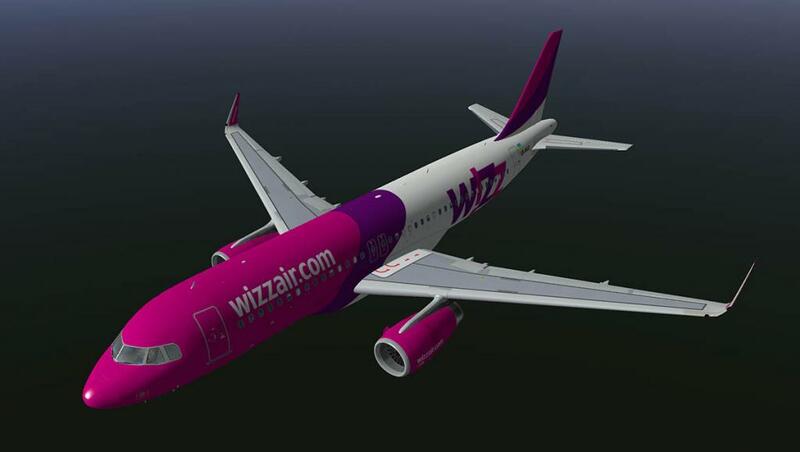 All the sounds were recorded from real A320 engines and are extremely realistic. 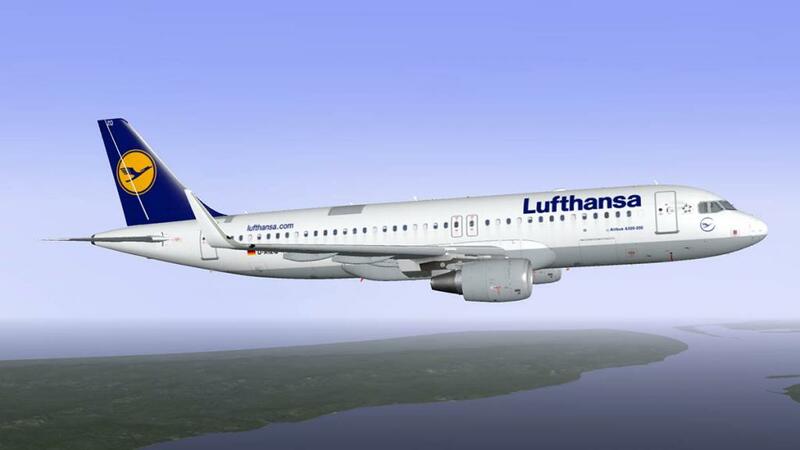 You have the 3d doppler effect as well, so yes they sound very good and have that unique A320 buzz sound. 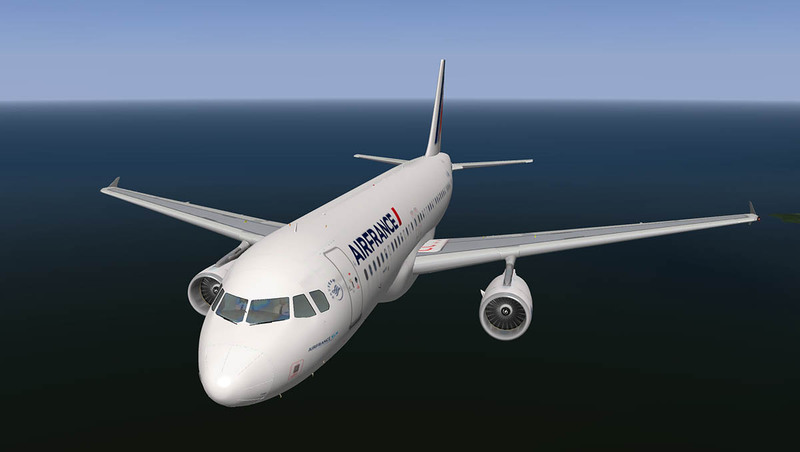 Overall the total A320 VC package with both the CFM and IAE engines are excellent. 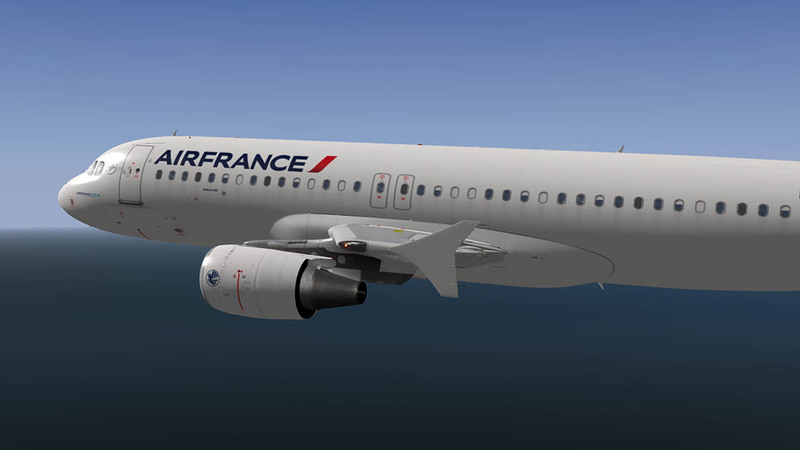 You can purchase the CFM as one purchase or the two versions together, and remember you can use all the aircraft for Xplane9 as well as X-Plane10. As we now in X-plane have current programmable built in MCDU's into 3d Virtual Cockpits, it is slightly odd to trip over and back again to the 2d space to tune the device. Not being able to programme routes in the FMGS proper language is also out of character now in a world of the FlightFactor B777/B757 Series and the NeoA320 systems. No doubt a few years ago Peter's solution was the normal, but now it isn't. 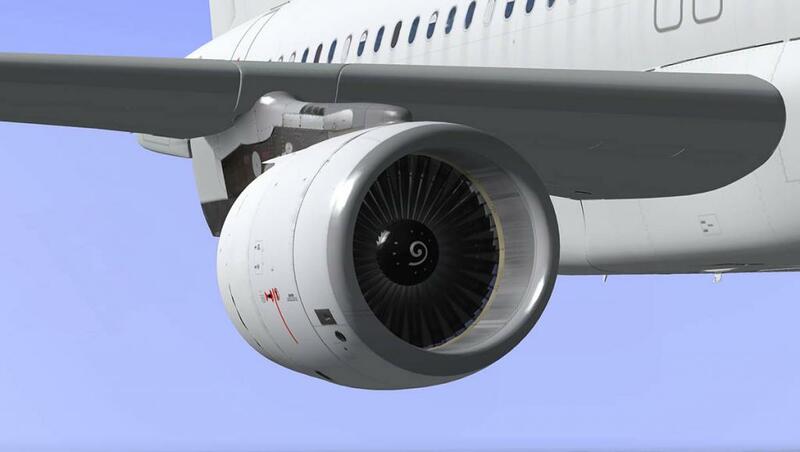 In saying that the system is very good and still covers a lot of the preferences and phase settings of the real FMGS. One issue that covers not only the A320 series here, but also the A321 series from Peters Aircraft is the frame-rate. 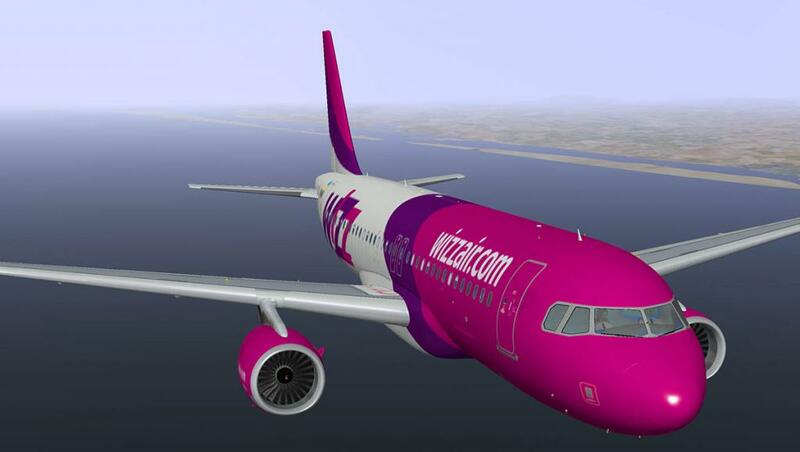 First it must be noted that all these aircraft require a minimum 4gb Ram and 1gb of Vram to fly the aircraft correctly. 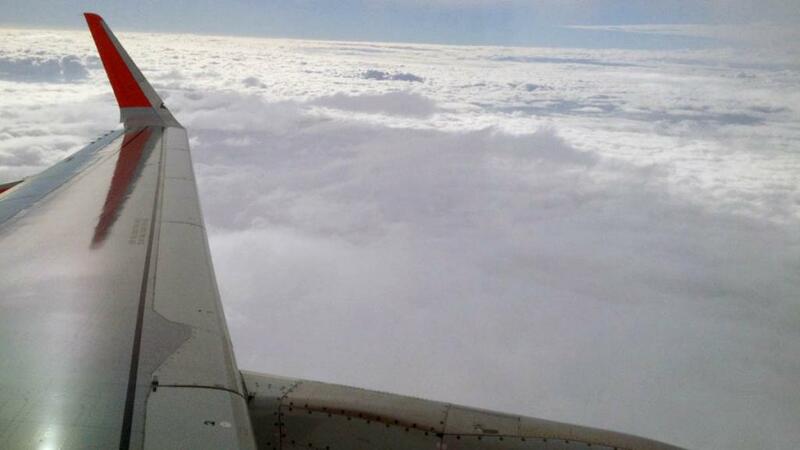 But I found the frame-rate a distraction in flying the aircraft effectively. First you will note I only have 512mb of Vram, and fair enough of that. But I could easily set my Vram setting as low as 342mb in running the aircraft. 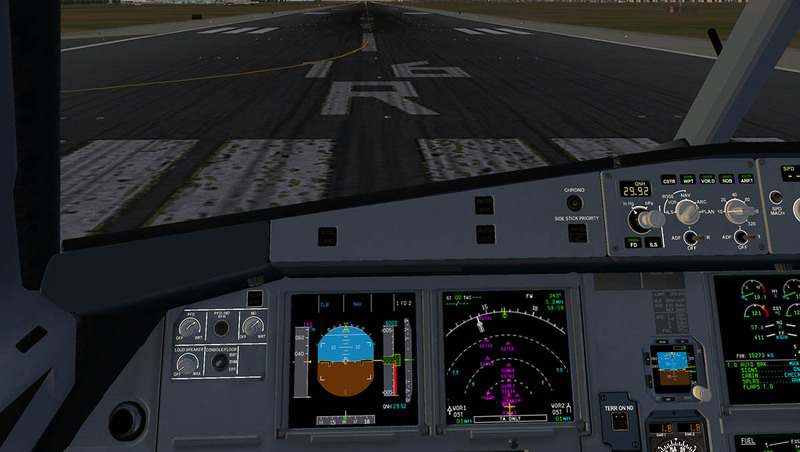 In adjusting the texture resolution higher you can overload the Vram which is correct. 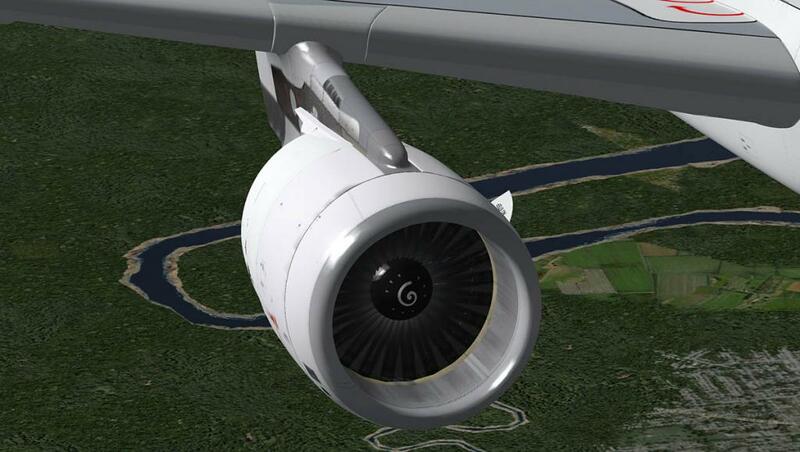 And if you fly the A380 from Peters Aircraft, you can with a twiddle of the texture settings in lowering the resolution it will make the aircraft perform with the VC cockpit in normal circumstances. But here on the A320/A321 series you don't get that option? Even at the low Vram setting the Frame-rate will function is strange ways. 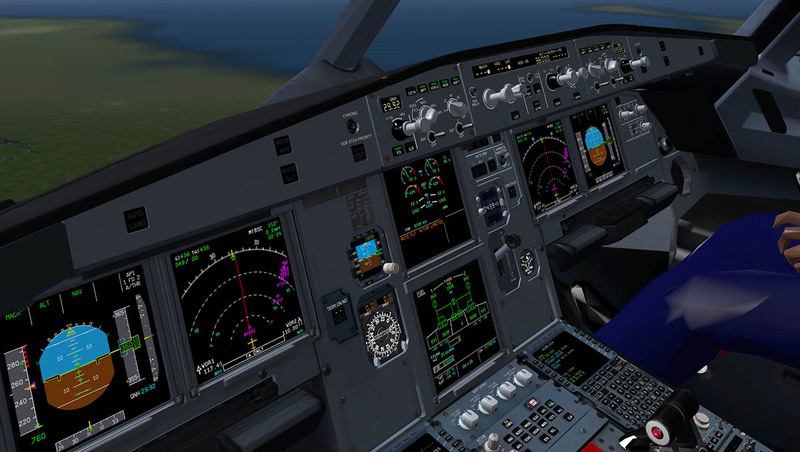 I evaluate frame-rate by three views - The "Outside" view of the aircraft, the view through the window inside the cockpit (in "2d") and in the virtual cockpit space of a "3d VC" cockpit, again usually through the pilots window and the rotation of the view of the instruments. 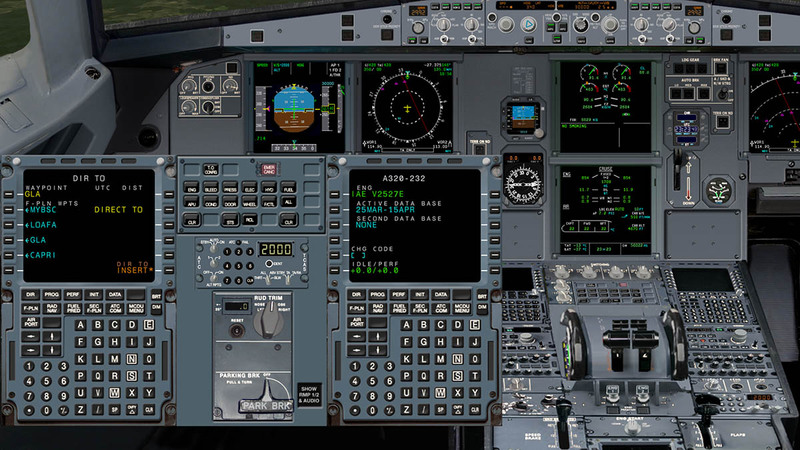 Sometimes the 2d cockpit view will give you 60 fr, but the outside view will give you only 7 fr, ditto the 3d VC at 7 fr also. Clear the air at 35,00ft with no weather or default autogen and you get the same results?, then sometimes you will get 60 fr outside and 60 fr in the 2d and 7 fr in the 3d VC?... If the aircraft feels it likes you may get 20 fr out of the 3d VC in most cases, but I have also seen 60 fr outside and 30 fr in the 2d and 41 fr in 3d VC... you work that out... I can't? So the result is a frame-rate that does not fit anywhere, either in the 2d mode (usually the best even with default autogen). 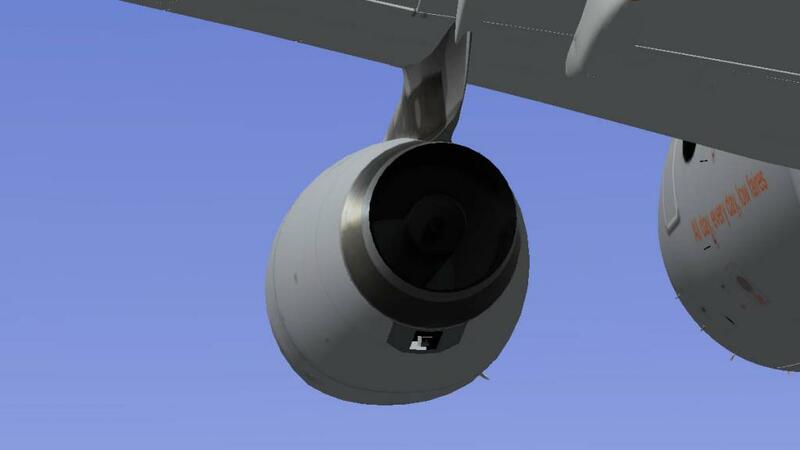 looking outside the aircraft can have you stuttering along a 7 fr's and the 3d VC not working and then suddenly it is all working perfectly... and all in the same position and viewpoints. Your best position is to stay simply locked in the 2d cockpit if you want best results overall. And the reason's are not caused by the low Vram. 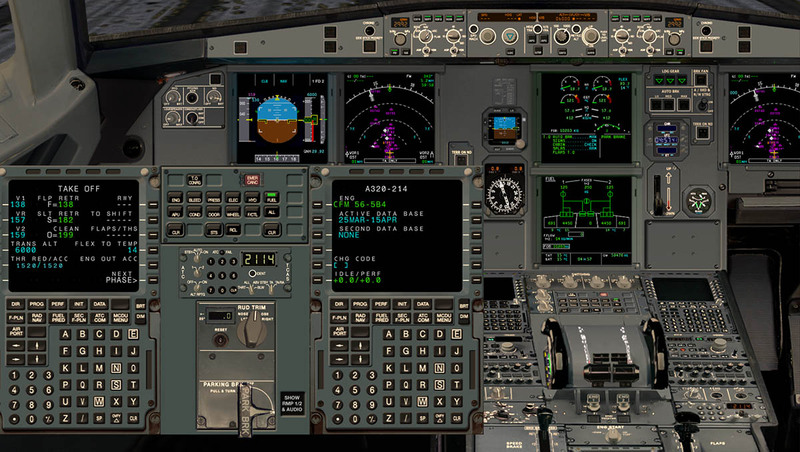 Flying the A380 which should in many ways give you the same results as the A320/A321, but it does not unless you exceed your Vram... Adjusting the texture resolution does not also either have any effect on the frame-rate either except for sharper textures... So that does not make any sense either. 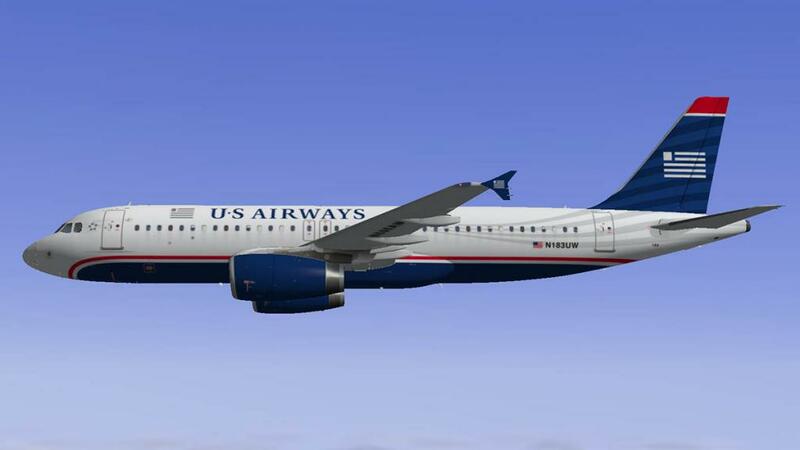 So this makes the aircraft distracting to fly cleanly because the frame-rate is all over the place for no reason. The recommendation is that your machine must have the power to override these distractions and not in usual the Vram department. but in the power aspect. 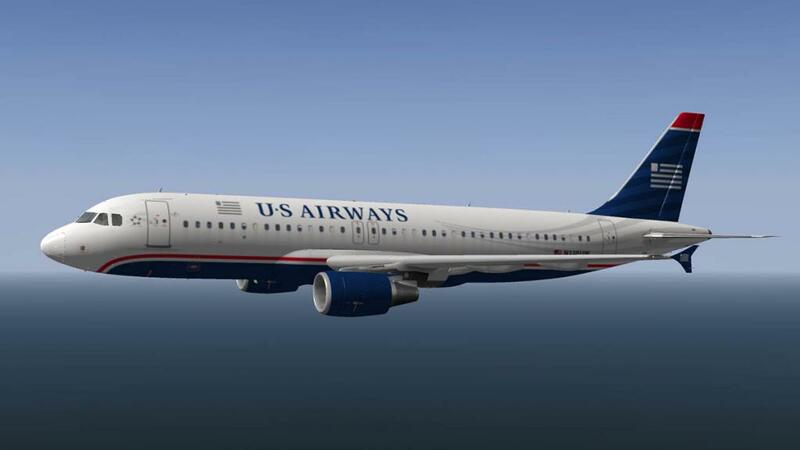 This aside the whole package is excellent in quality as you would expect from Peters Aircraft, and certainly a great simulation if you love airliners. The brilliant aspect of the A320 aircraft like the Boeing 737 series is that you will get a lot of productivity out of the purchase. 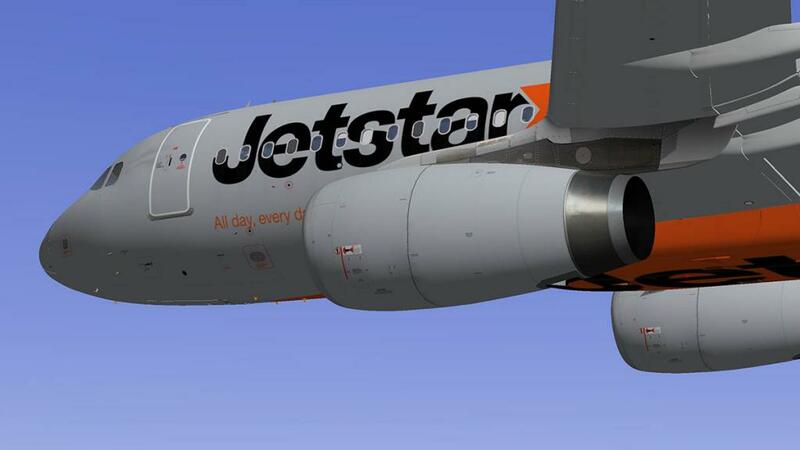 And the one thing that is outstanding about these series of aircraft is that they are really excellent to fly. 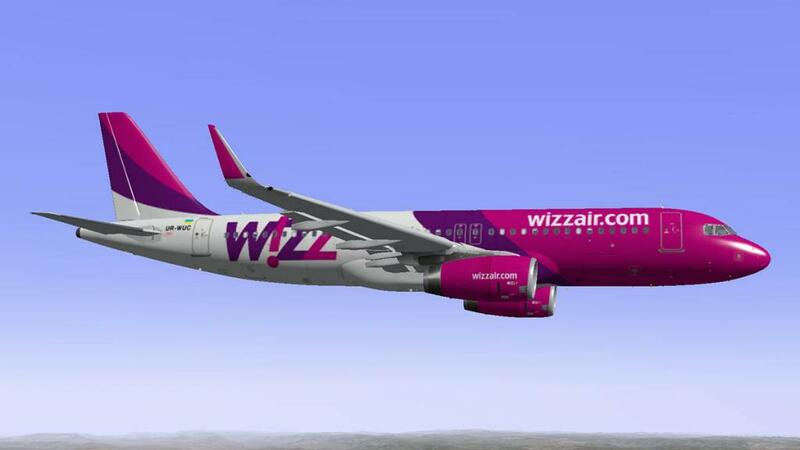 Cold or Hot start-ups are very highly simulated and in reality with this machine - your world is your oyster in the diversification of liveries, routes and destinations... And that is great value. An excellent review! I bought it, and I am very satisfied with that product. Very recommend! 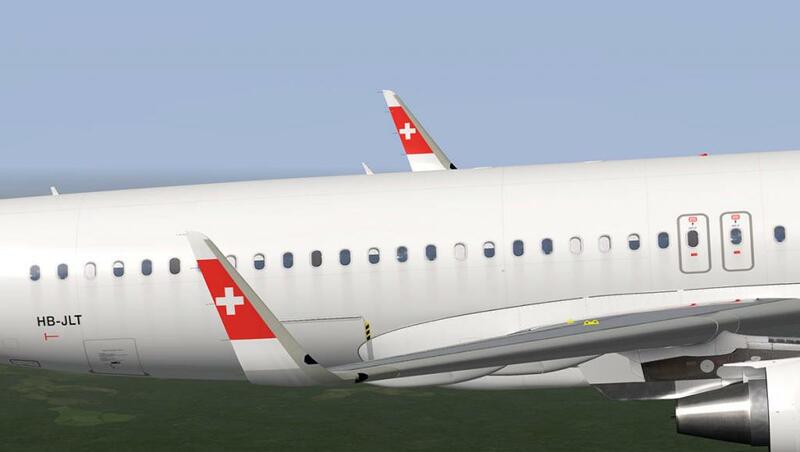 The only problem I see is you can't open any doors (it lacks any of the special option the JAR a320 does, like fueling, gpu, stairs, and such...). There are workarounds, like turning the beacon off to open doors and have external power available. I don't really understand how hard it could be to add some of those seemingly simple options that would drive this over the edge for me. 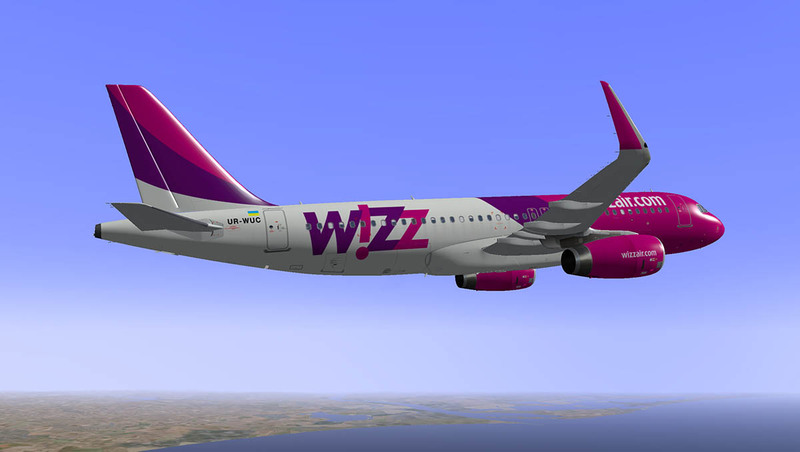 It does have amazing visuals, but lacking those small features, unlike SSG and the worldliner series, makes it hard to see how this rises above par with similarly expensive payware. In fairness, none of the Peter's have these options, and it's kind of mind boggling as to why not. I am curious about the frame-rate-trouble... anyone have any ideas if this is a general problem or if its just combination of factors in the reviewers case? It sounds like there is some bug in the system causing it to have a huge frame-drop! As an ATI-user, im affraid of what could happend since x-plane is so tuff against my graphic card - it sounds that this plane is a real graphic card killer. 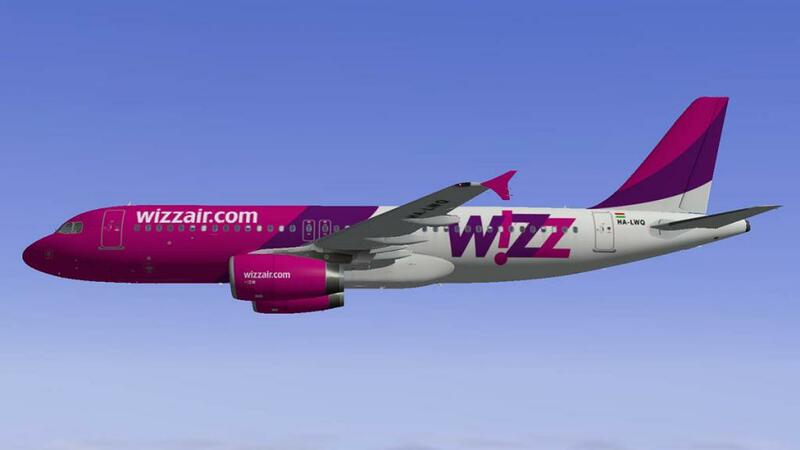 2) anyone with experience of ATI-hardware in combination with this aircraft? is it possibile with this aircraft to do quick flights like approach 3nm/10nm? with the a320neo of jardesign it doesn't work..
Petersaircraft has different Airbus 320 like the NEO and IAE/CFM. What is the difference between these? 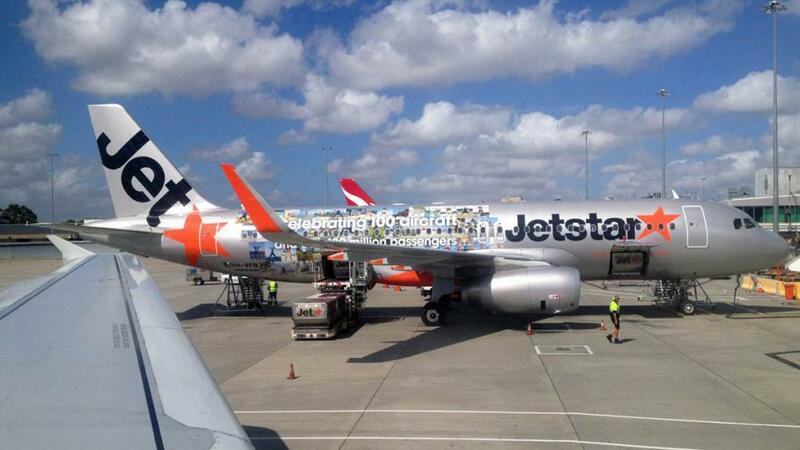 Do they fly differently? The NEO costs 37$ and the CFM/IAE 55$. 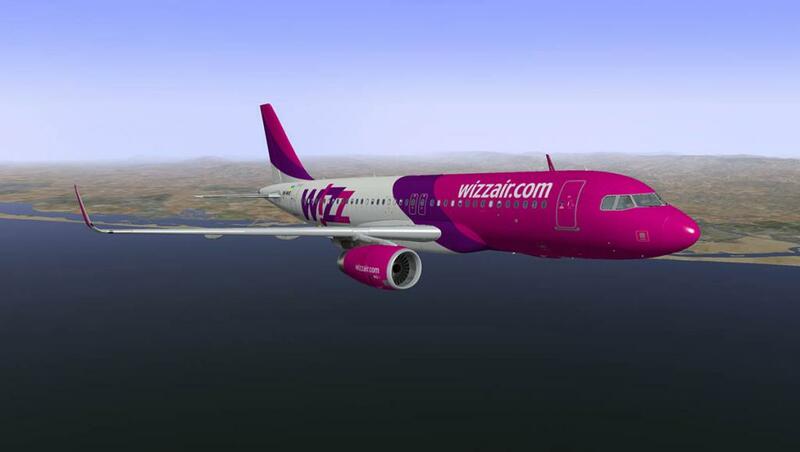 Which A320 dou you recommend? Thanks!